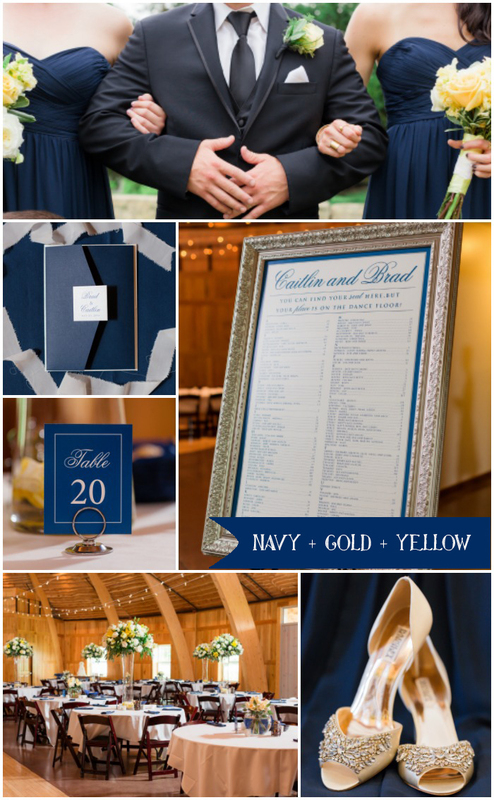 This inspiration board was created after I shared a couple's summer wedding, featuring navy blue, gold and yellow in the overall color palette. It's elegant, and light, perfect for a mid-summer wedding! Check out the wedding here to see more details!